No, I haven’t emigrated to England or South Africa or something. The “U” in the word “color” above is purposeful, as it’s the name of a blogging/photo contest/meme thing. I was nominated to take part by my pal Erin. The “Capture the Colour” contest asks bloggers to post five photographs – one each for five different colors – and each color has a different blogger judge. Yes, it’s a contest, and yes, there are prizes, but I’m doing this for fun. So much so, in fact, that I’ve imposed more rules on my own photo selections, just to see what I’d end up with. I decided that I’d only use photos I’d posted to Instagram – so, not only were these all taken with my iPhone, they were all edited and posted to Instagram as well. It was kind of a fun rule, I have to say, although it severely limited the destinations I was able to cover – I only got the phone, after all, in January of this year. At any rate, here are my five photos, with a bit of explanation about each one. Full-time. 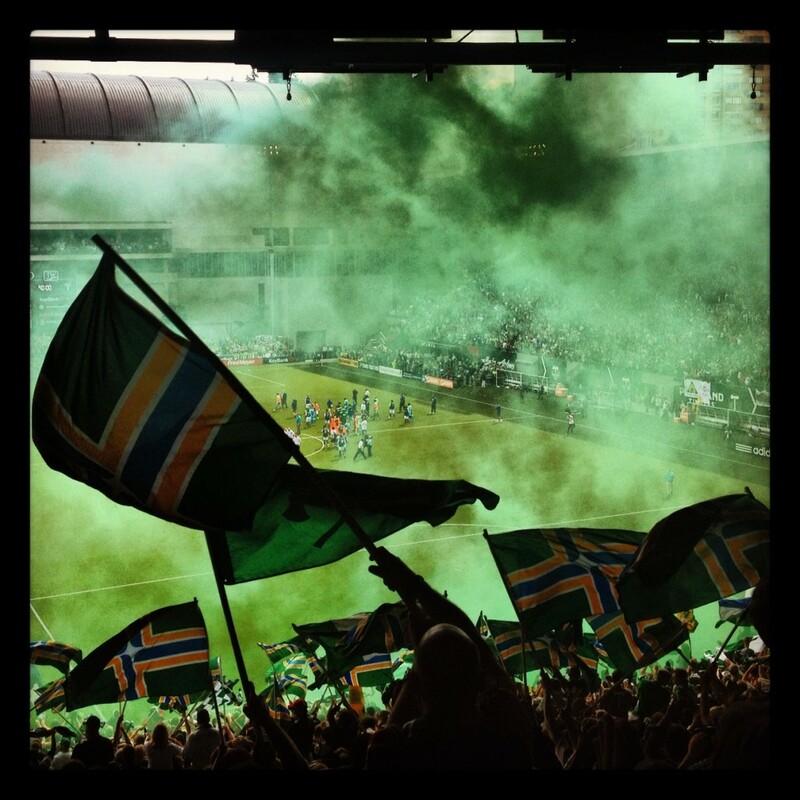 Portland Timbers 2, Seattle Sounders 1. The Timbers Army had two fewer green smoke bombs to set off post-game, thanks to the goals, but they set off whatever else they’d brought when the final whistle blew. Green smoke, green city flags waving, green jerseys everywhere. It was a good day to be a Timbers fan. 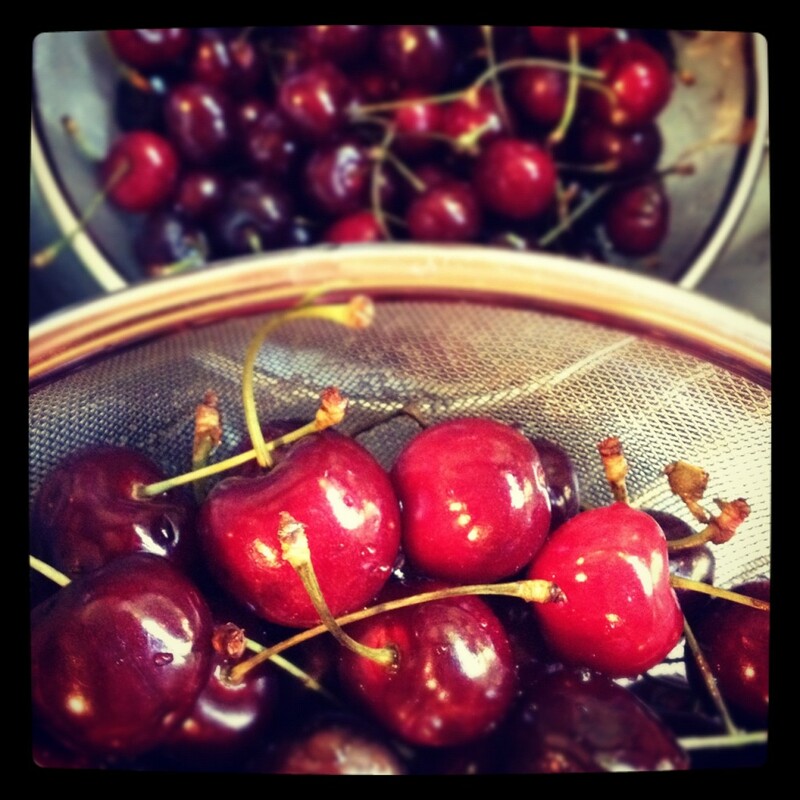 Cherries in the Pacific Northwest are one of many reasons to love summers in this part of the world. My favorite farmer’s market stand is responsible for me knowing not just that I love cherries, but that I prefer Brooks cherries to any other variety. This is summertime candy. This was the day I bought double what I normally buy. 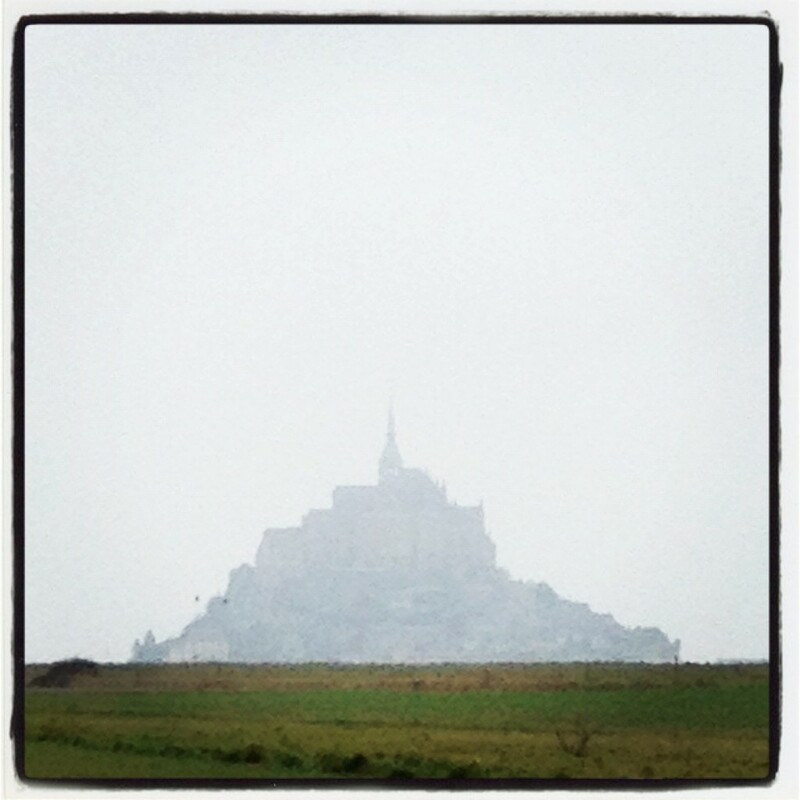 I waited 22 years to finally see Mont-Saint-Michel with my own eyes, and when we drove up to the rock the day before my 40th birthday it was almost entirely shrouded in fog. Two days later the fog lifted, but it rolled back in again as we drove away. The place is absolutely unreal, so I thanked the fog for making it appear that way, too. 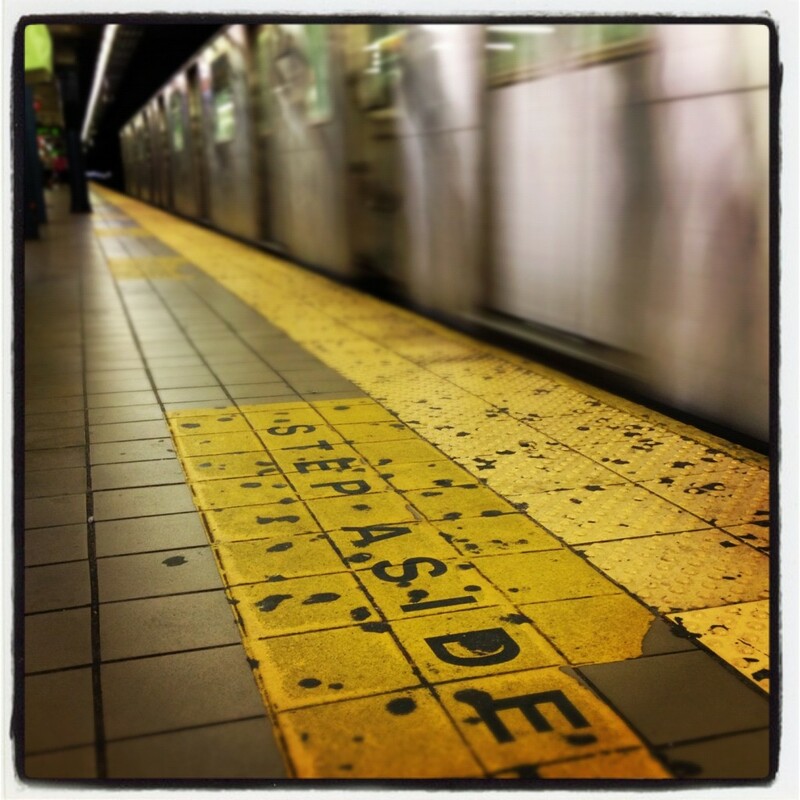 We spent a long weekend in New York introducing my niece and nephew to the city. New York remains a place where I’m not yet at ease (this subway admonition is indicative of the in-your-face attitude I think the city exudes), but I’m getting there. On this trip, I rode the subway by myself for the first time in my life. Yes, this is a year of some milestones. The Little Gray Cat will be 19 in August, so although she occasionally has moments of frenzy, running up and down the stairs as if she’s being chased by invisible dogs, she spends most of the day sleeping on her bed of blankets. 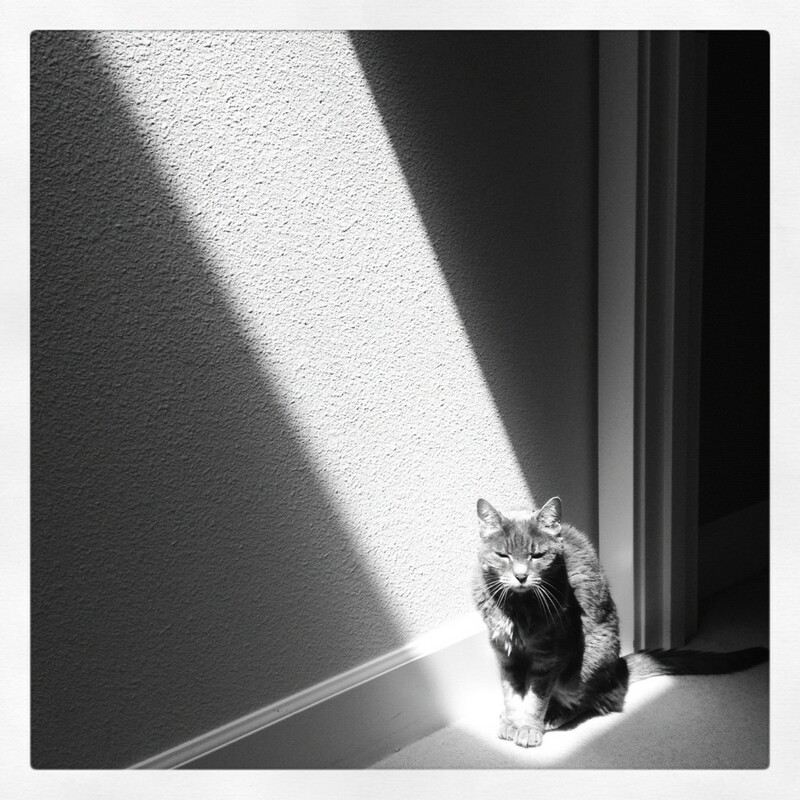 When the sun is just so, however, and the skylight releases that beam of light into the corner of the doorway, she will saunter over and sit in that pool of light until it moves. She’s ready for her close-up, Mister DeMille. There’s a whole nominate-five-other-bloggers component to this thing, which I’m not going to do. If you’d like to participate and you haven’t already been tagged, by all means consider yourself invited.